It’s all about the cars for 2-year-old N! Well, that’s not really entirely true, he is pretty enthusiastic about a wide variety of themes, but cars are definitely a plus for any activity. 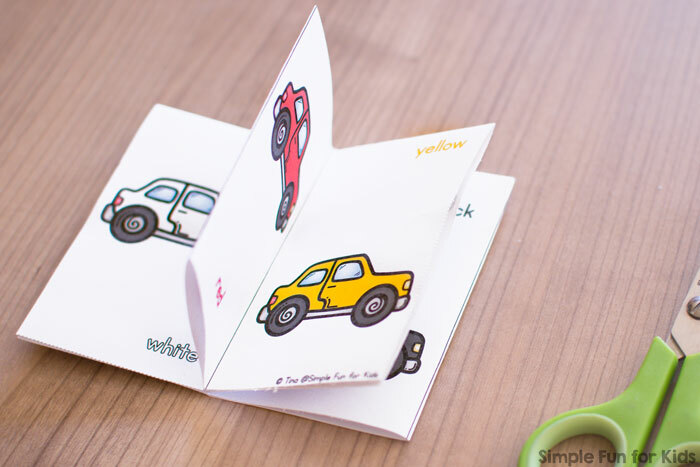 As usual, the downloadable file for the mini folding book includes a single page to print out. 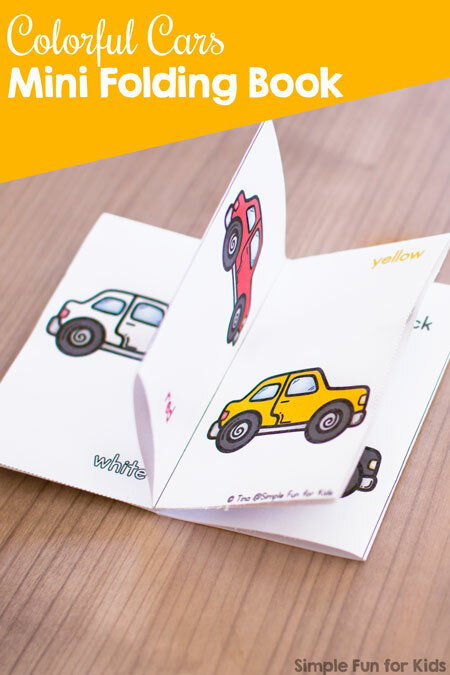 Once assembled, the mini folding book has 6 inside pages and both a front and a back cover. Each inside page shows a picture of the same car in a different color: white, green, red, yellow, blue, and black. Each page also includes the appropriate color word written in that color. The front cover says “My Little Book of Car Colors” and has an unlabeled space to write a child’s name down. The back cover shows the six color names written in the six colors that are in the book. My Car Counting Matching Game and Transportation Matching Game for Toddlers both use the same set. My Match This! Matching Game for Toddlers ebook also includes some matching games with clip art from the same set. Looking for other activities with vehicles? Check out these!